The City of Bentonville has more than 40 miles of bike trails within city limits, 20 of which are natural-surface. 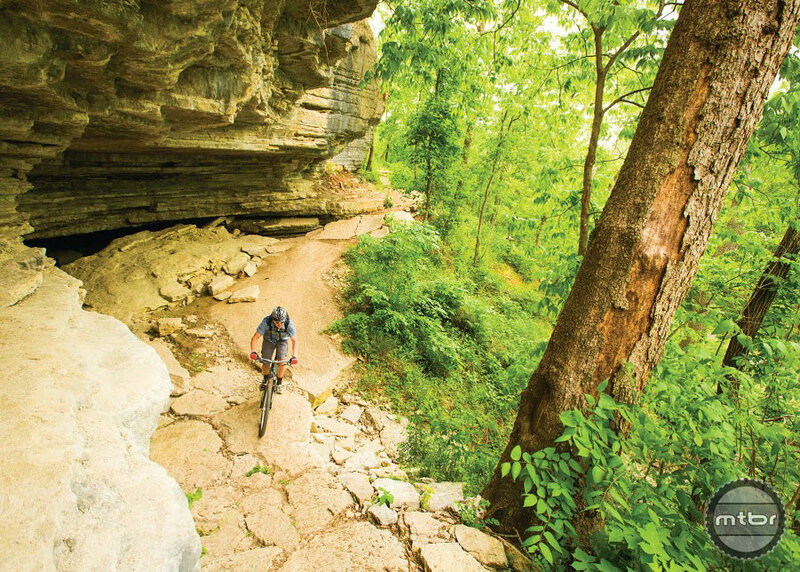 What sets it apart is that the majority of Bentonville’s singletrack trails link directly to its urban trail system, allowing mountain bikers easy access to the city’s amenities, including bike stations with air pumps and repair tools, shower facilities and Wi-Fi “check-in” spots. Trail highlights include the Slaughter Pen Mountain Bike Trail, a 14-mile system featuring everything from beginner trails to a designated free ride area with log rides, rock drops, big jumps and wall rides. Nearby Hobbs State Park offers 24 miles of trails on a 12,000-acre property. Additionally, the Bentonville Convention and Visitors Bureau has designated bicycle tourism as a priority and works in partnership with Friends at Slaughter (Pen) Trails to offer multiple race, ride and skills clinic events throughout the year. Santa Fe hosts a vibrant art community, unique festivals such as the Spanish and Indian Market, a world-renowned opera, and beautiful scenery. Numerous, well-signed rides can be accessed from downtown, or tackle the “Big Friggin Loop,” a 68-mile trail and dirt road ride that is part of the grassroots New Mexico Endurance Series. Bring your dirt jumper and visit the Bike Skills Park of La Tierra to session its dirt jumps and unique freeride trails that wind in and out of juniper trees. Then gear up for a stunningly scenic singletrack ride through pine and aspen stands, up long climbs and down fast descents on the 10-mile Winsor Trail, which starts above 10,000 feet. Head northeast from town and you’ll find the Angelfire Bike Park, where 60 miles of lift-accessed trails await. End your day sipping brews from one of five Santa Fe breweries. Silver Star is well known for its more than 30 miles of outstanding downhill trails in and around the resort. In addition, a 30-mile singletrack trail network is nearing completion. This network will attract more riders to the area and give provide a place to ride both excellent downhill and cross-county trails on the same day or same trip. The Okanagan Valley’s warm summers mean that the resort’s high-elevation singletrack will give riders of all styles a chance to escape summer heat. Within 30 minutes of Victor, ID, you’ll find the Grand Targhee Resort, Jackson Hole Mountain Resort, greater Snow King area, and Teton Pass, providing enough trails to entertain for several days of riding. Beyond the resorts, you could spend weeks riding everything from bike parks and beginner-friendly trails to flowing purpose-built, downhill-specific trails. Numerous trail systems can be linked without getting in a car. The Teton Ride Center experience is also a lifestyle located in the Greater Yellowstone Ecosystem, filled with a variety of outdoor adventures complemented by awe-inspiring views, wildlife, rivers, brewpubs, ethnic restaurants, live music and mountain culture. 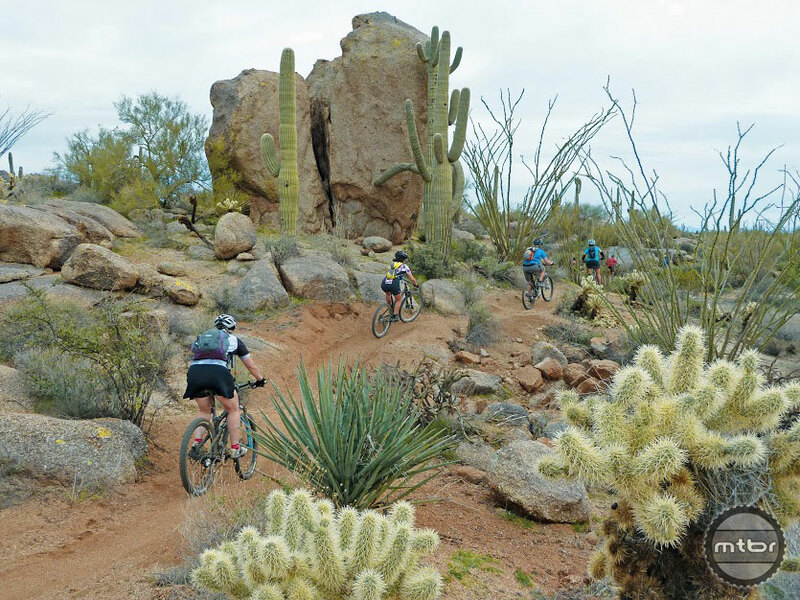 The Tucson Region Ride Center offers a cactus-filled, sandy, rocky, desert mountain bike playground that you may never have heard of but absolutely must experience. With more than 400 miles of trails scattered throughout four mountain ranges surrounding the Tucson Valley, there’s something for everyone, whether you want to put together a multi-day bikepacking trip, hit some dirt jumps, explore rolling rock playgrounds or spin smooth singletrack through stands of several-hundred-year-old saguaro cactus. Beginner, intermediate and advanced riders who want to explore, learn or just send it all have a place to play in the Tucson area. The Elk Mountain Range that towers over the Aspen Snowmass area is renowned for rugged, glacier-carved valleys yielding to incredible high alpine views. This Ride Center offers challenging classics like the Government and Sunnyside Trails, bike-specific flow trails including Airline and Cozyline, an expanding lift-assisted gravity trail system at Snowmass, miles of traditional singletrack and interconnected bike paths. Premier events and activities make the area a world-class destination for nature, culture and trail lovers. Trail system improvements are continually opening up opportunities for new riders to experience the incredible forests and mountain views. Fayetteville offers more than 50 miles of riding for all skill levels, with multiple trail systems near the heart of downtown. Special to the area are the trails of Mt. Kessler and Mt. Sequoyah, which offer a backcountry experience through the natural beauty of the Ozark Mountains. Fayetteville has numerous amenities to offer: 4,000 acres of parks, more than 40 miles of paved trails, several bike shops and more than 300 restaurants in addition to an award-winning farmer’s market, the Walton Arts Center and the Botanical Gardens of the Ozarks. The Marquette County Trails Network Ride Center consists of three separate clusters of trails totaling more than 50 miles of singletrack near the shores of Lake Superior in Michigan’s Upper Peninsula. The Marquette South Trails feature the greatest variety, with 30 miles ranging from beginner-level singletrack to extreme, expert-level downhill courses. The Marquette North Trails focus on the natural beauty of the Dead River Valley and the Harlow Lake State Forest. There are several miles of easier trail near the Tourist Park trailhead in Marquette’s city limits, while the Harlow Lake area features challenging freeride trails built on granite outcrops. Additionally, the Range Trails in nearby Ishpeming are highlighted by a number of tight, twisting trails that maximize the rugged terrain. Finally, certain trails in all three clusters are groomed for winter snow bike riding. The greater Phoenix and Scottsdale area is known for its 340 or more days of sunshine per year and perfect fall, winter and spring riding conditions. If you’re cold and wet at home, plan an escape to the beautiful Sonoran Desert where you will find hundreds of miles of trails, stunning scenery, the largest urban preserve in the U.S. and very friendly locals. Bring the family and enjoy all the Valley of the Sun has to offer. Pretty disappointed NZ not got a mention . . .